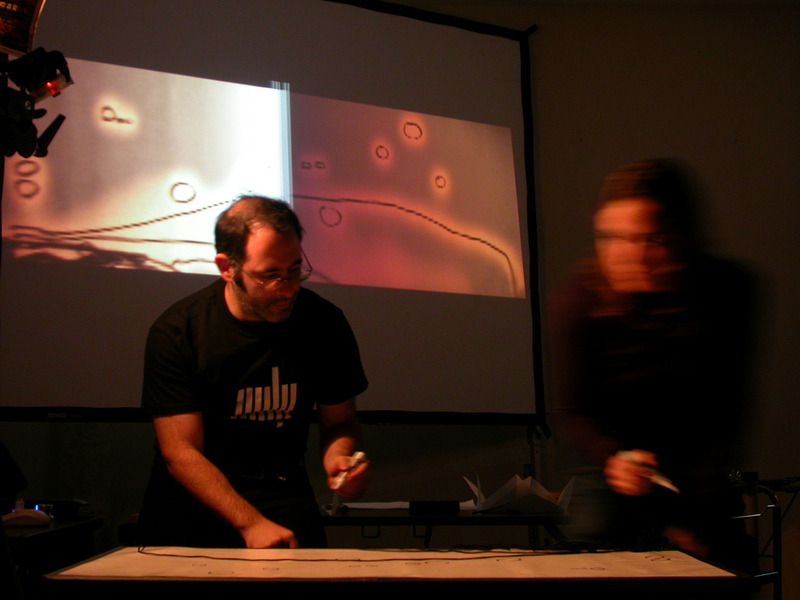 Scrapple (2005: Golan Levin) is an audiovisual performance in which everyday objects placed on a table are interpreted as sound-producing marks in an “active score.” The Scrapple system scans a table surface as if it were a kind of music notation, producing music in real-time from any objects lying there. 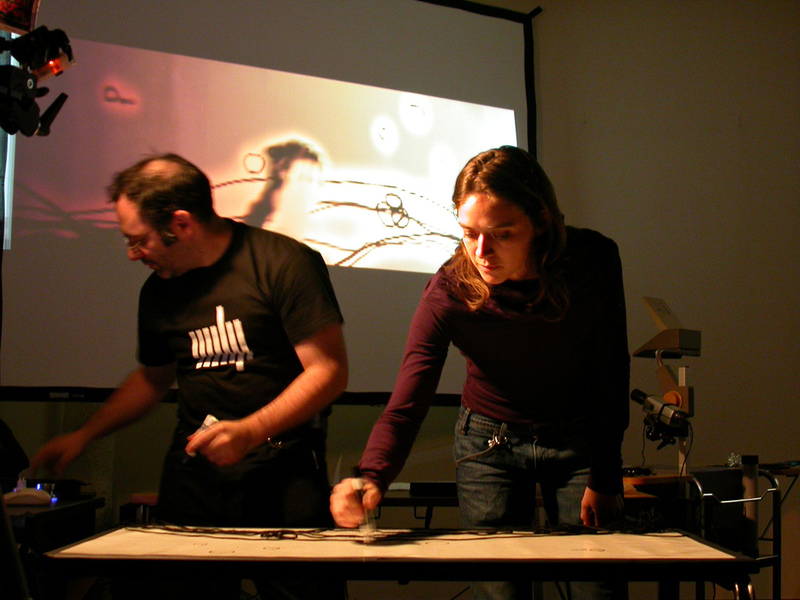 The 3-meter long table produces a 4-second audio loop, allowing the performers to improvise audiovisual compositions in real-time. 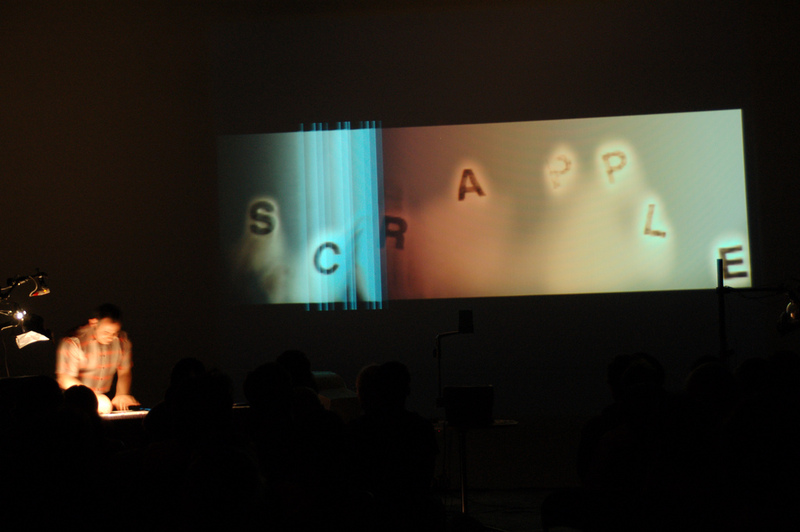 Scrapple exists in both installation and performance formats. 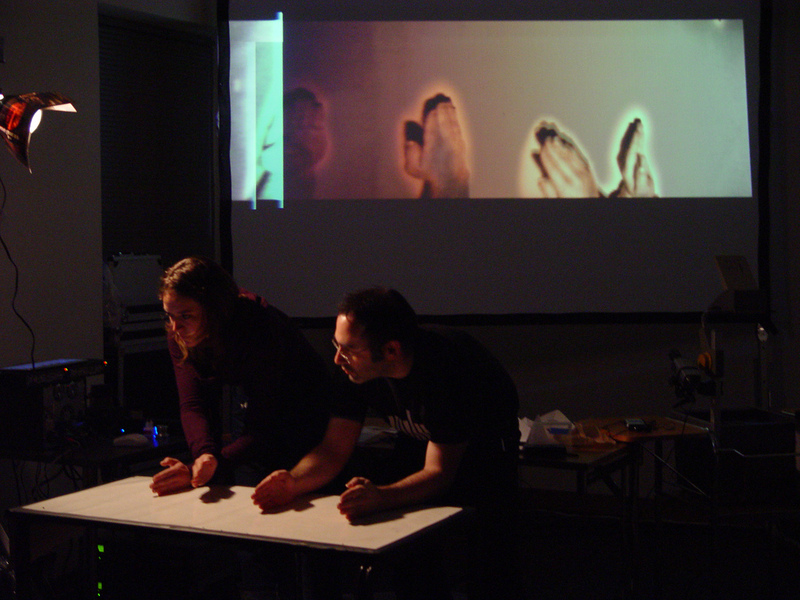 More information about the interactive installation version of Scrapple can be found here. Ars Electronica Festival, Linz, Austria. 9/2006. 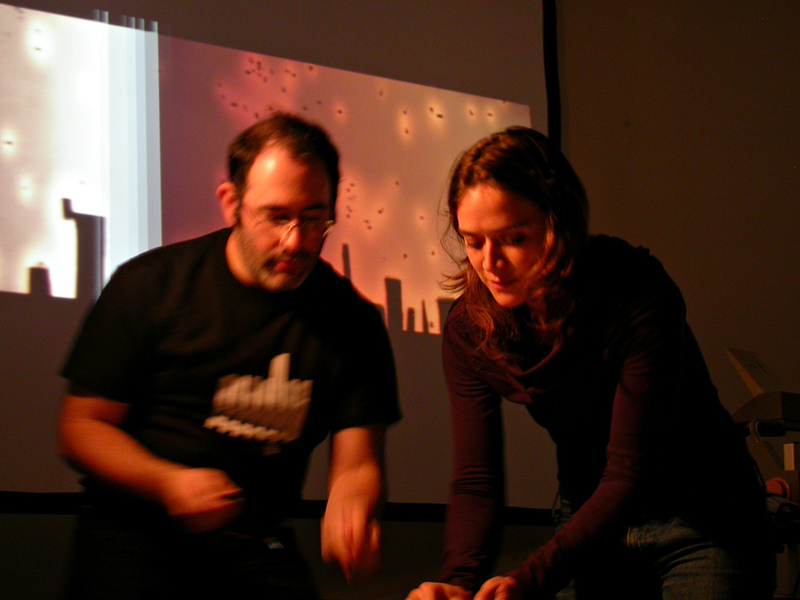 PlayVision, World Financial Center Arts & Events Series, NYC, 5/2006. OFFF Festival, Barcelona, Spain. 5/2006. 49th San Francisco International Film Festival, 4/2006. Signal Operators, University of Houston, Texas. 4/2006. 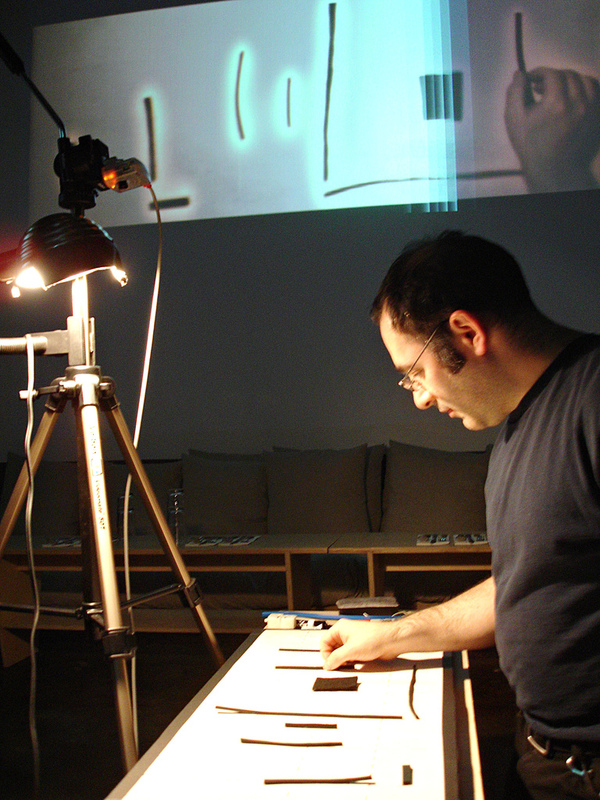 Tokyo Digital Arts Festival, Tokyo, Japan. 12/2005. RomaEuropa Festival, Rome, Italy. 11/2005. 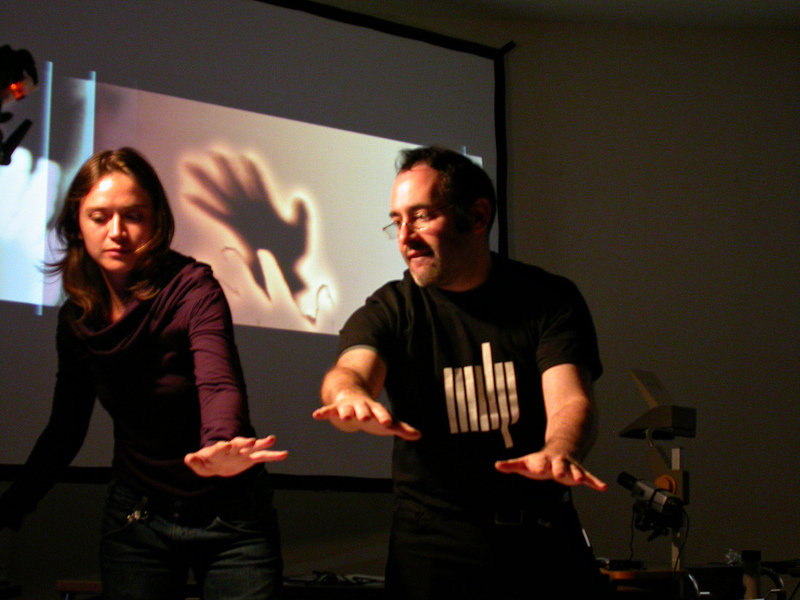 Ultrasound Festival, Huddersfield, UK. 11/2005.